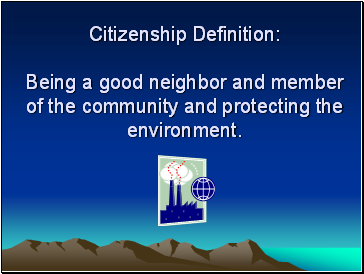 Being a good neighbor and member of the community and protecting the environment. 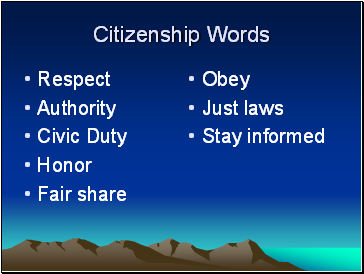 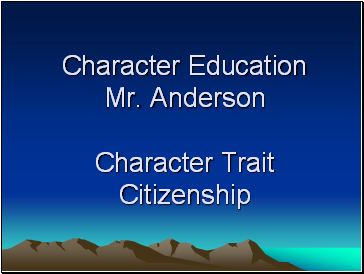 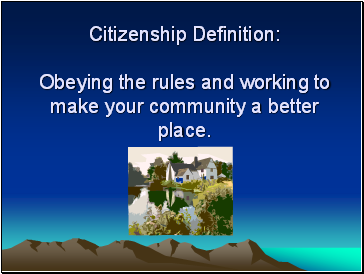 Citizenship Definition: Obeying the rules and working to make your community a better place. 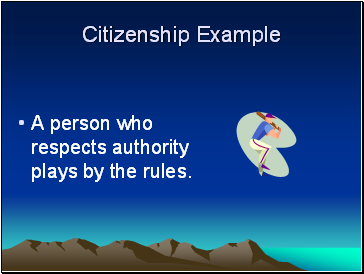 A person who respects authority plays by the rules. 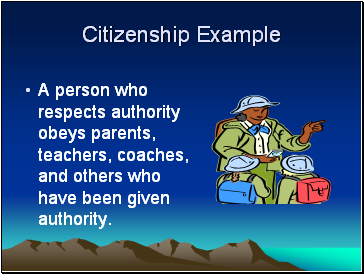 A person who respects authority obeys parents, teachers, coaches, and others who have been given authority. 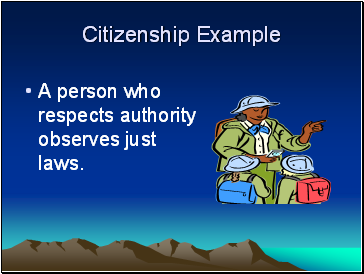 A person who respects authority observes just laws. 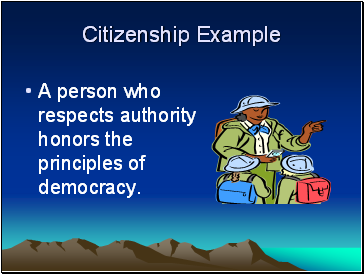 A person who respects authority honors the principles of democracy. 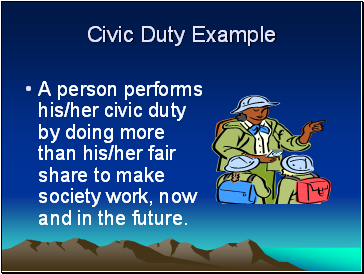 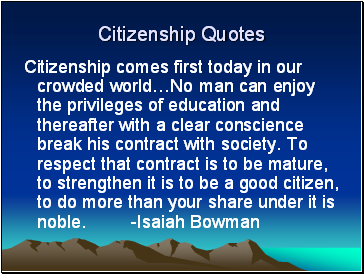 A person performs his/her civic duty by doing more than his/her fair share to make society work, now and in the future. 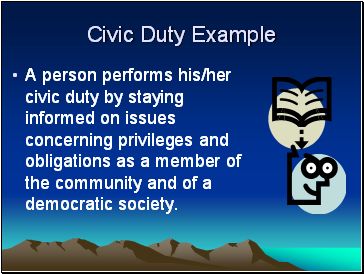 A person performs his/her civic duty by staying informed on issues concerning privileges and obligations as a member of the community and of a democratic society.